Oualie: A very happy-go-lucky character, Oua loves to meet and greet others; especially other fumis! Despite her happy attitude however, she can easily hold her own when provoked. Rois: Much more mellow than Oua, Rois often acts very mature for her age. She's not a huge fan of younger fumis however and tends to treat them with disdain. She is very fond of parties/celebrations. When Oualie gets excited she tends to puff out a lot of smoke and Rois loves to dance. 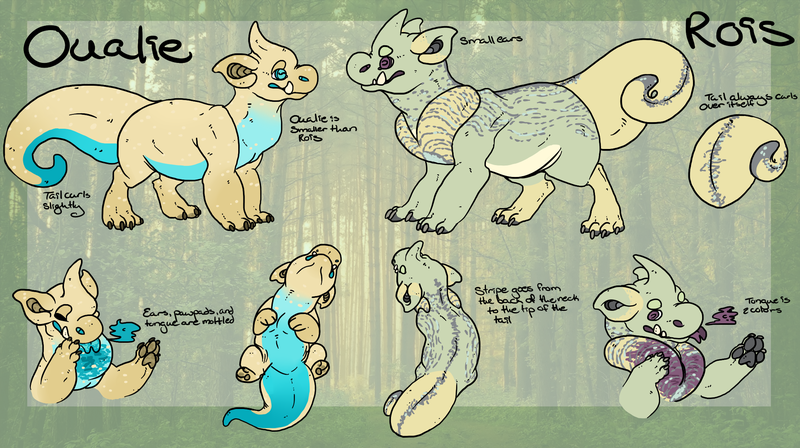 Species belongs to Fumi-LEX and is a closed species!